Do you work for UKCloud? Secure, high-performance cloud built to meet your exact needs using technologies from VMware, EMC, 3PAR & Cisco. Single-tenant storage infrastructure and Cisco blade UCS architecture provide the ultimate in reliability, availability & redundancy. Powered by super-fast SSDs and KVM hypervisor, our platform is self-aware and self-healing, ensuring consistent high levels of performance and reliability. Expertly configured, and supported 24/7/365. 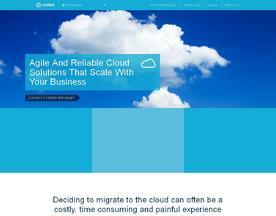 Coreix offers an array of agile and reliable cloud solutions that scale with the needs of your business. 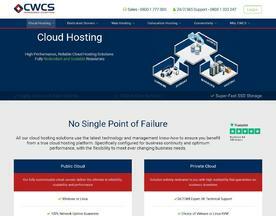 Our private cloud services offer the optimal solution for enterprise organisations looking for managed backup, storage, network, monitoring and support. Dedicated to your organisation, private cloud keeps sensitive information locked down, giving you peace of mind that your data is secure. 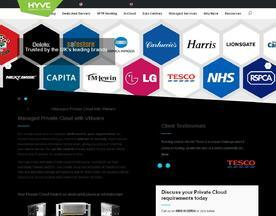 Private cloud has all of the benefits of the public cloud, but rather than being a shared pool of resources, is dedicated to your organisation.